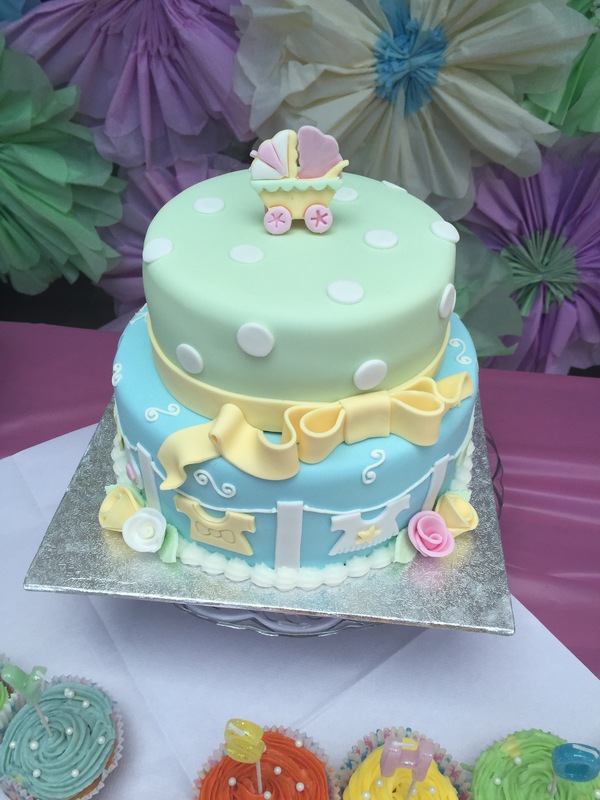 My Baby Shower – it's a mums word.. Thanks to my lovely sister, I was able to enjoy a lovely baby shower with my close friends and family. 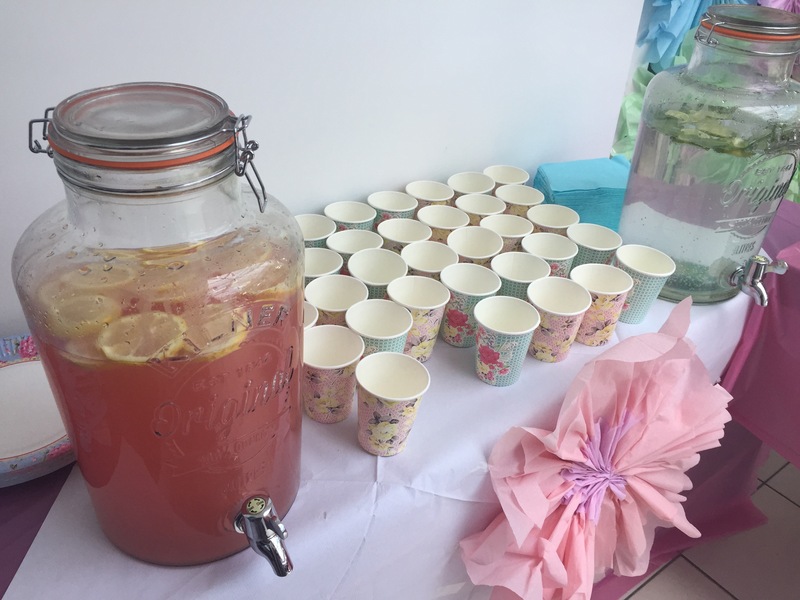 As I had family coming from other cities, we opted to hold this on a bank holiday weekend (a little earlier than I initially wanted), so my baby shower took place when I was 32 weeks. I am so glad we took this decision, as the prep took two full days and a day to recover and clear up afterwards. I sat back and relaxed, whilst my sister and cousins took care of this (very lucky me). We decided on a semi afternoon tea theme. My sister and Cousin S took care of the menu and baked all of the cakes/ treats the day before along with other members of the family. 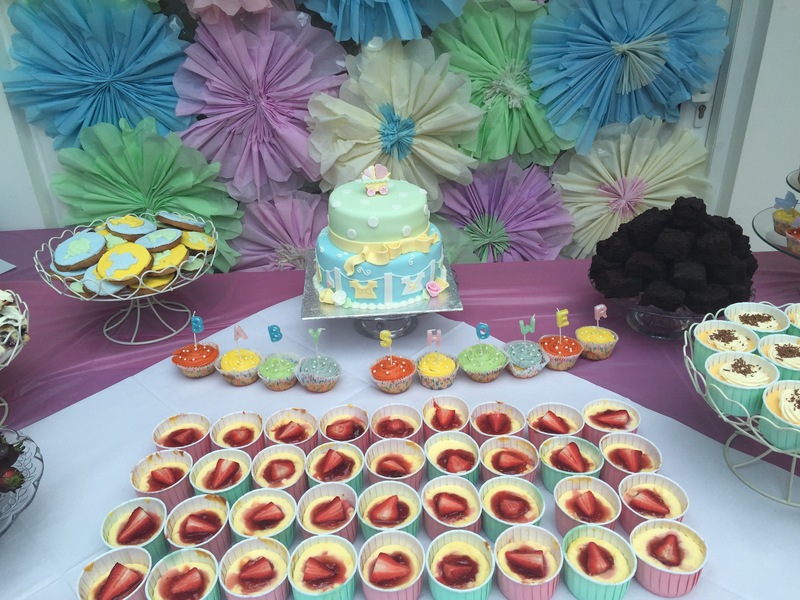 On the menu was; baby themed shortbreads, chocolate brownies, themed cupcakes, lemon and blueberry trayback, mini trifles, mini baked strawberry cheesecake, scones with cream and jam and chocolate dipped strawberries.. It was all delicious and looked dreamy! 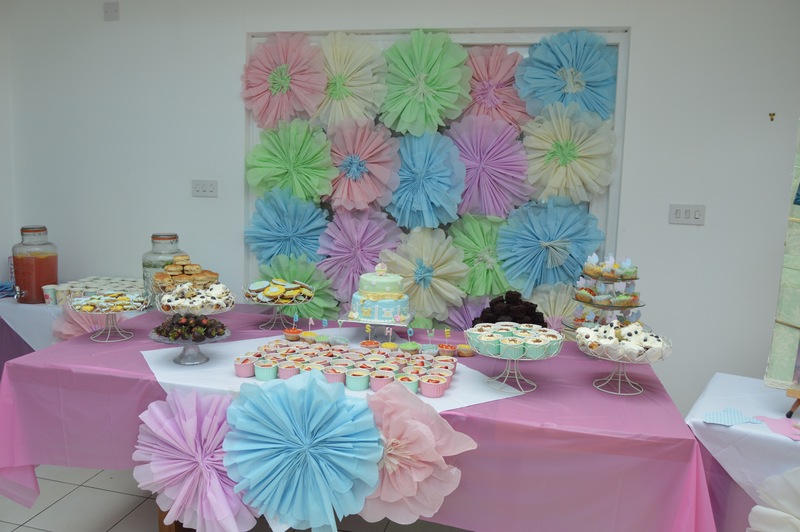 My sister also suprised me with a two tiered baby shower cake, which matched the theme and rest of the decor perfectly. She did a grand job of decorating my mums conservatory, with most of the decor handmade with the materials from Hobbycraft, and some very cool Kilner drinks dispensers, along with various cake stands we have collected from my wedding. I kept the guest list small as didn’t want anything too hectic, so overall there were around 20 guests. The first activity was to decorate a patch of fabric with coloured ink, I intend to create a patchwork blanket for the nursery with the finished patches. This was a great activity for everyone to get involved in as everyone was arriving, as it was casual and allowed everyone to mingle. We then had a baby quiz which involved trivia on baby facts, a music round with songs with ‘baby’ in the lyrics, and guessing baby pictures of all the guests. We also played baby themed charades and had a baby themed piñata. I don’t think we could have crammed in any more baby themed games into a few hours. I had a lovely time at my baby shower and was extremely spoilt by my family and friends, it made the whole thing seem even more real and made me even more excited for bumpy’s arrival. I am very grateful to my sister and Cousin S, they will make great (and helpful) aunties!